Cement mix in sacks is mixed with water and a form of aggregate to create concrete. The mix is a dry powder in the sack, but if the powder gets wet, it hardens through a process called hydration to form a strong, solid block. Moisture may enter cement sacks if the sacks are improperly stored. 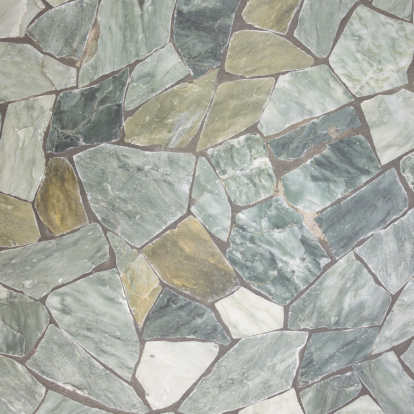 Hardened cement or concrete in a sack cannot be used for its original purpose, but there are several ways to salvage the material for new projects. The range of use depends on whether only the outside layer or the entire sack is hardened. 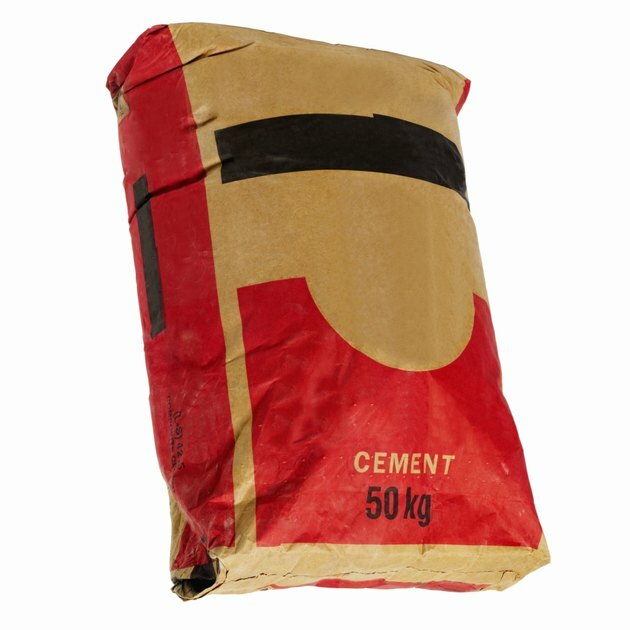 Dry cement mix can become hardened in the sack if not stored properly. Tear open the bag to reveal the block of hardened cement or concrete. Discard the bag. Form steps, such as a set of natural stairs cut from the hillside in your landscape, with the blocks that are hardened throughout. You need one hardened concrete sack for each stair tread; if you only have one sack, use it for one step and substitute large stones for the rest of the stairs. Start from the bottom of the hill, dig out the area for the first step, place the hardened concrete, and then dig the next step level with the height of the first step. Tap the surface of the block with a chisel and hammer to begin breaking away the hardened concrete. Using the chisel and hammer should help you determine whether the entire sack or only the exterior has hardened. Chisel away the outer layer of hardened material if the sack only hardened on the outside. Set the hardened material aside for later use. Sift through the powder cement after removing the hard outer layer to remove any remaining chunks of hardened cement. You can use mix this dry powder according to package directions for your original project or store in a dry location until ready to use. Strike the hardened block with a sledgehammer if the chisel test confirmed the sack has hardened solid. Continue striking the block and broken pieces until the pieces reach the desired size. Use large chunks of hardened concrete as backfill material for projects such as leveling a slope. This reduces the amount of fill dirt needed. Conceal the chunks with a 6-inch layer of topsoil. Fill in potholes or low spots in the landscape with small- to medium-sized pieces of the hardened concrete. Cover them with soil to conceal the material. Use small pieces of hardened concrete in place of pea gravel or crushed rocks for paving and pathway projects around the landscape. A layer of 4 to 6 inches of aggregate is usually used under patios and driveways to improve drainage in the soil. Cover the bottom of planters with small pieces of the hardened material to add drainage for potted plants.